The Stanley Cup (French: La Coupe Stanley) is the championship trophy awarded annually to the National Hockey League (NHL) playoff winner. It is the oldest existing trophy to be awarded to a professional sports franchise, and the International Ice Hockey Federation (IIHF) considers it to be one of the "most important championships available to the sport". The trophy was commissioned in 1892 as the Dominion Hockey Challenge Cup and is named after Lord Stanley of Preston, the Governor General of Canada who donated it as an award to Canada's top-ranking amateur ice hockey club. 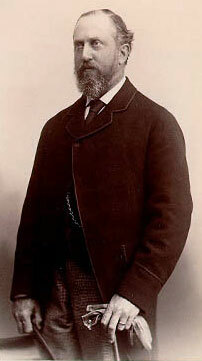 The entire Stanley family supported the sport, the sons and daughters all playing and promoting the game. 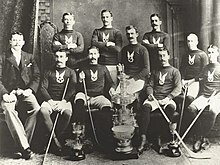 The first Cup was awarded in 1893 to Montreal Hockey Club, and winners from 1893 to 1914 were determined by challenge games and league play. 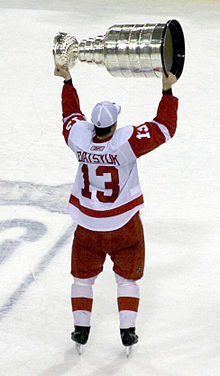 Professional teams first became eligible to challenge for the Stanley Cup in 1906. In 1915, professional ice hockey organizations National Hockey Association (NHA) and the Pacific Coast Hockey Association (PCHA) reached a gentlemen's agreement in which their respective champions would face each other annually for the Stanley Cup. It was established as the de facto championship trophy of the NHL in 1926 and then the de jure NHL championship prize in 1947. 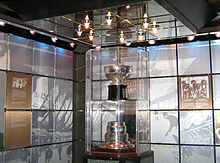 There are actually three Stanley Cups: the original bowl of the "Dominion Hockey Challenge Cup", the authenticated "Presentation Cup", and the spelling-corrected "Permanent Cup" on display at the Hockey Hall of Fame. 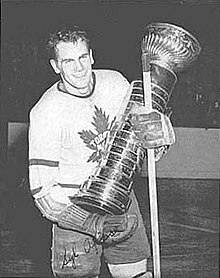 The NHL has maintained control over the trophy itself and its associated trademarks; the NHL does not actually own the trophy but uses it by agreement with the two Canadian trustees of the cup. 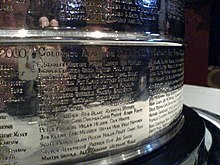 The NHL has registered trademarks associated with the name and likeness of the Stanley Cup, although there has been dispute as to whether the league has the right to own trademarks associated with a trophy that it does not own. The original bowl was made of silver and is 18.5 centimetres (7.28 inches) high and 29 centimetres (11.42 inches) wide. 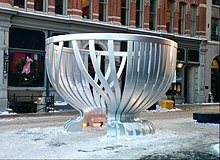 The current Stanley Cup is topped with a copy of the original bowl, made of a silver and nickel alloy. It has a height of 89.54 centimetres (35.25 inches) and weighs 15.5 kilograms (34.5 lb). A new Stanley Cup is not made each year, unlike the trophies awarded by the other major professional sports leagues of North America. The winners originally kept it until a new champion was crowned, but winning teams currently get the Stanley Cup during the summer and a limited number of days during the season. Every year since 1924, a select portion of the winning players, coaches, management, and club staff names are engraved on its bands, which is unusual among trophies. However, there is not enough room to include all the players and non-players, so some names must be omitted. Between 1924 and 1940, a new band was added almost every year that the trophy was awarded, earning the nickname "Stovepipe Cup" due to the unnatural height of all the bands. In 1947, the cup size was reduced, but not all the large rings were the same size. In 1958, the modern one-piece Cup was designed with a five-band barrel which could contain 13 winning teams per band. 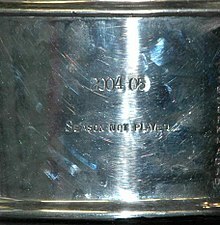 The oldest band is removed when the bottom band is full and preserved in the Hockey Hall of Fame in order to prevent the Stanley Cup from growing, and a new blank band added to the bottom. 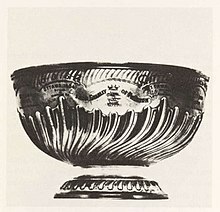 It has been referred to as The Cup, Lord Stanley's Cup, The Holy Grail, or facetiously as Lord Stanley's Mug. The Stanley Cup is surrounded by numerous legends and traditions, the oldest of which is the winning team drinking champagne from it. Since the 1914–15 season, the Cup has been won a combined 101 times by 18 current NHL teams and 5 defunct teams. It was not awarded in 1919 because of a Spanish flu epidemic or in 2005 because of the 2004–05 NHL lockout. It was held by nine different teams between 1893 and 1914. The Montreal Canadiens have won it a record 24 times and are the most recent Canadian-based team to win it, doing so in 1993; while the Detroit Red Wings have won it 11 times, the most of any United States-based NHL team, most recently in 2008. In 2018, the Cup was used to improve the spirits of those who were affected by either of two significantly tragic events which claimed the lives of multiple individuals, the Humboldt Broncos' bus crash on April 6, and the Capital Gazette shooting on June 28. For the former, the Stanley Cup was brought to the hospital where the crash survivors were recuperating on April 15, and for the latter, the it was presented to Capital Gazette employees at their temporary office on July 3. Chandler Stephenson of the 2018 champion, the Washington Capitals, also spent his day with the Stanley Cup with the Broncos that August. This page was last edited on 17 April 2019, at 07:31 (UTC).